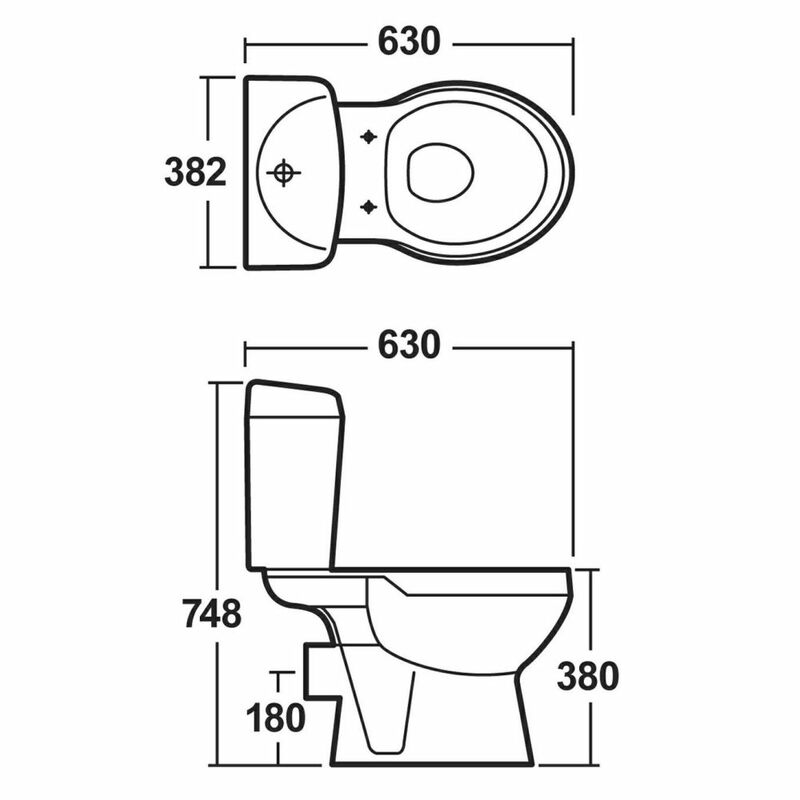 The Milano Minimalist cloakroom suite comes complete with the Ebony wall hung vanity unit and the close coupled toilet with dual flush cistern and seat. 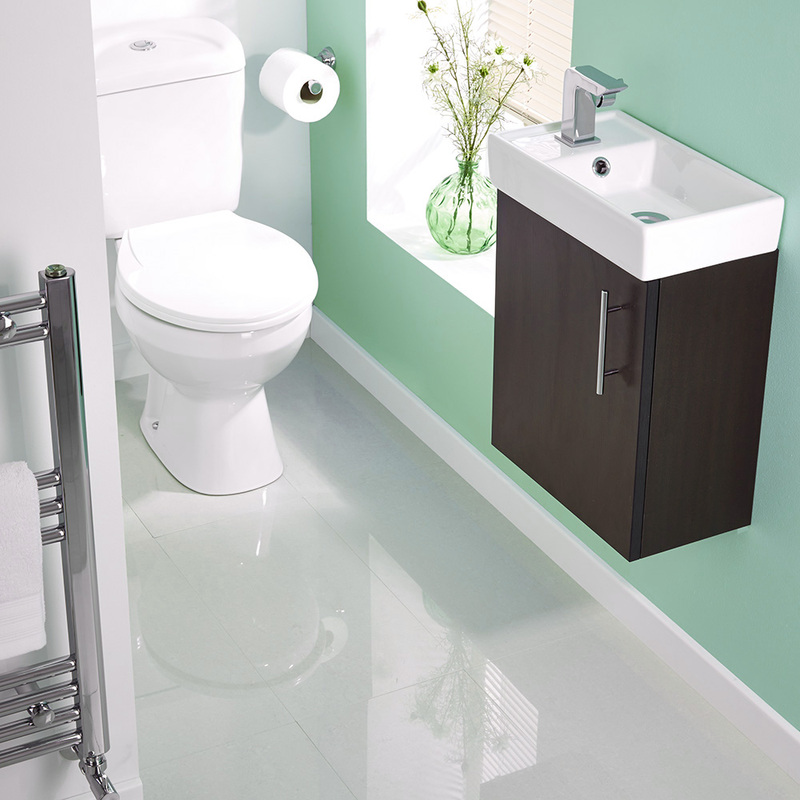 The vanity unit and toilet set is perfect for adding smart, modern style to any cloakroom suite. 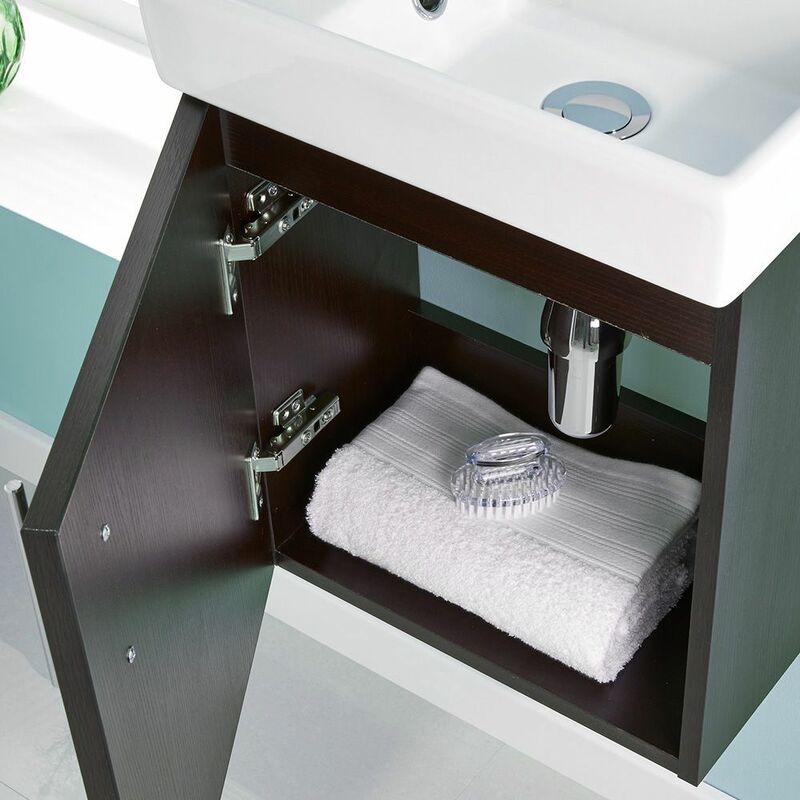 Featuring an Ebony Brown finish, the compact vanity unit provides a stylish and practical storage solution for toiletries. 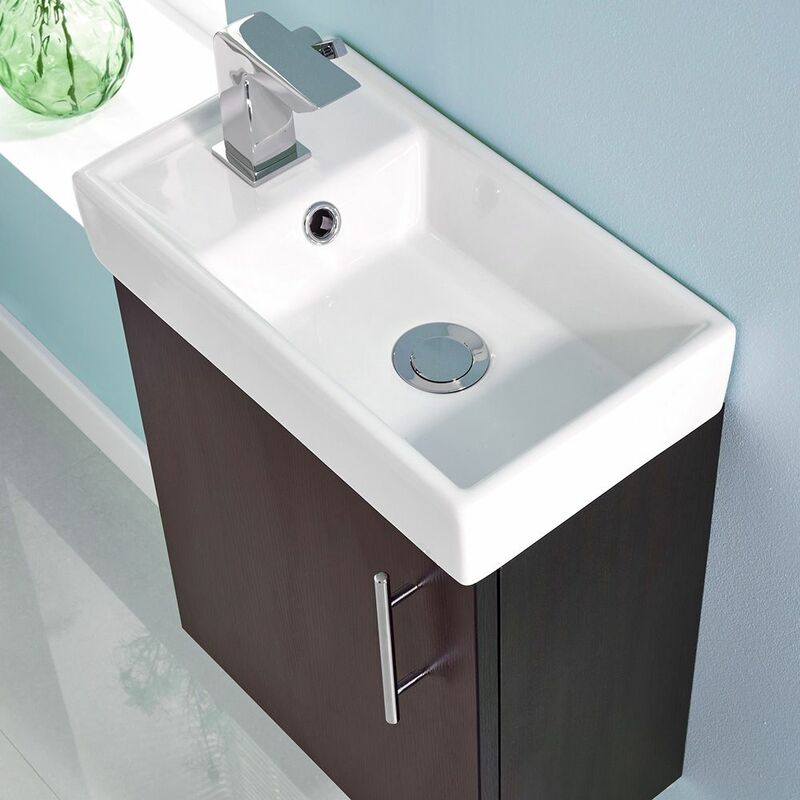 Supplied rigid for easier installation, the vanity unit has a wall mounted design to maximise floor space. 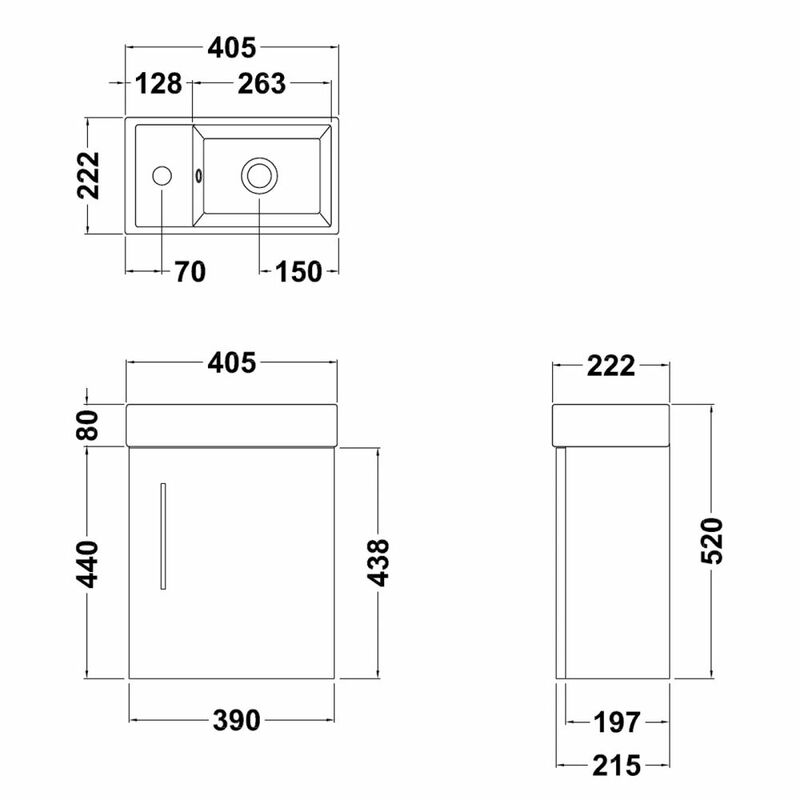 The vanity unit measures just 400mm in width and 222mm in depth.